A lifelong Patriots fan organized a protest against the team after several players kneeled during the national anthem. 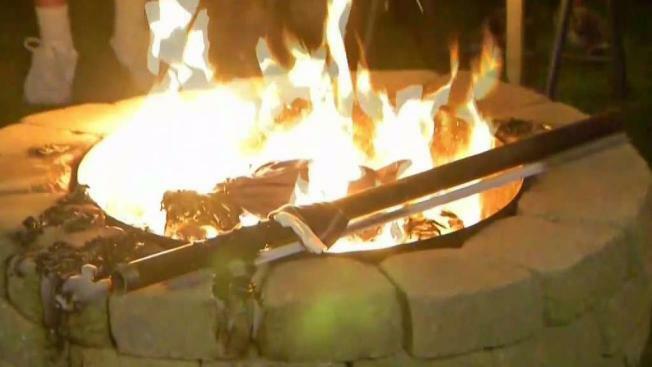 Dozens of people packed into a Massachusetts man's yard Thursday to set Patriots gear ablaze in a protest after several players kneeled during the national anthem. Mark Shane, a lifelong Patriots fan from Swansea, organized a jersey burning rally. Despite Swansea Fire Chief Eric Hajder telling Shane he would not receive a permit for the gathering, he carried on, with more than 75 people taking part. "I think it was a great success," Shane said. "I think people were united, I think people love our country, and I think it sends a great message to the NFL and any divisive-type actions will not be tolerated." Not everyone in the crowd agreed. Sitting in the stands on Sunday, Mark Shane couldn't believe what he was seeing as he watched several New England Patriots players kneel during the National Anthem at Gillette Stadium. As a result, he decided to hold a gathering Thursday outside his home to burn any and all Patriots jerseys. "Quite frankly, I think he is a little bit of an idiot to burn jerseys and think that is what it is all about," said Bob Hennessy. "Puerto Rico has no power right now and we are worried about football players taking a knee on a football field," added Taylor Wilkey. "I really don't think that is fair." Shane created signs for the event and set up his yard with lights, seats and a fire pit after Sunday’s game, saying beforehand the actions of nearly 20 Patriots players who knelt during the National Anthem were "embarrassing." "For Robert Kraft to allow this to happen is a disappointment. These are paid employees," Shane said earlier. "I can't get up at my job and I don't like my country, and I'm upset about racial equality, or whatever their cause is." 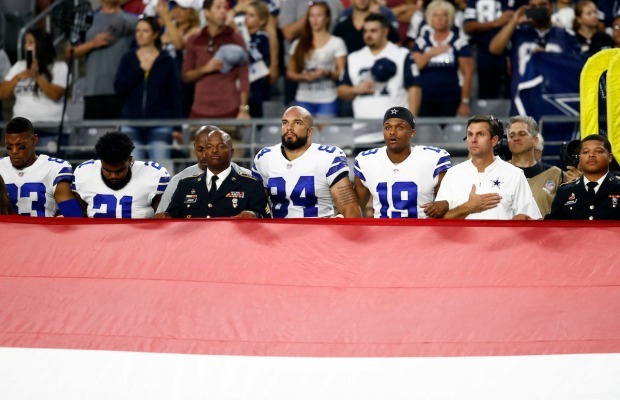 The kneeling protest came after President Donald Trump’s polarizing comments in regards to NFL players protesting the anthem. Players from teams across the country also joined in Sunday’s protest. Among the Patriots who took a knee were Devin McCourty, Trey Flowers, Brandin Cooks, Brandon Bolden, James White and Malcolm Butler. Star quarterback Tom Brady could be seen linking arms with several players, including Philip Dorsett and Matthew Slater. Hajder and the town police chief met with Shane, who did request a permit, and said that it is against state law to burn anything other than clean wood. Shane, meanwhile, says he'll forgive the Patriots if all the players stand Sunday. For now, no more jersey-burning events are planned.